The transition from high school to college (or the transition back to college after a winter break back at home!) can be an overwhelming time for any student. But for students with disabilities, both visible and invisible, the transition can be particularly challenging since they are dealing with the academic and personal changes the able-bodied student deals with on top of managing their disabilities. 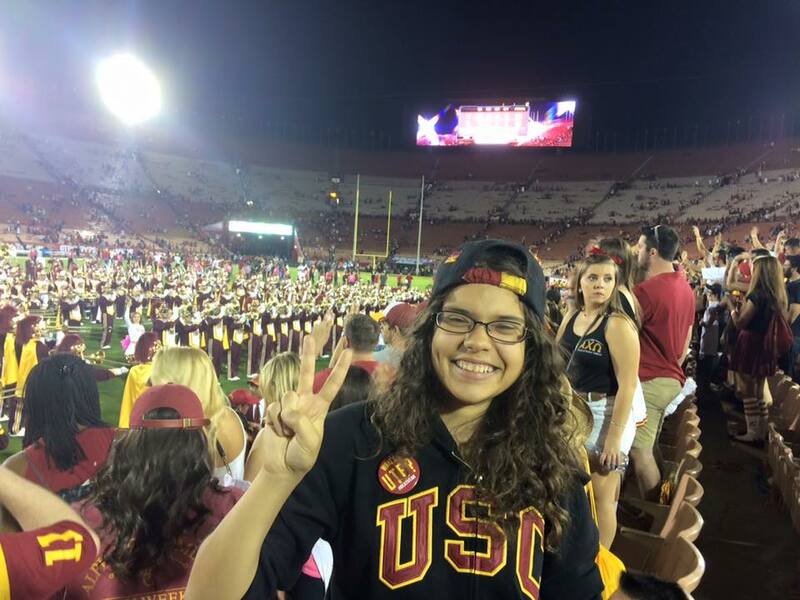 As a senior at a large university (the University of Southern California in Los Angeles, California) and a former Orientation Advisor, I have both been through the transition personally and helped other students with the transition. I’ve cultivated the tips in this list from personal experiences and experiences that have been shared with me by other students with disabilities at USC. I hope they can be of some help to the student with disabilities who wants to thrive over the next four years. 1. Register with your school’s Office for Disability Services. For students with disabilities, it is incredibly important to contact your school’s “disability services” office (at USC, the office is referred to as DSP, or the Office of Disability Services and Personnel) so your disability can be documented with the school and necessary accommodations can be given to you, preferably before you arrive on campus. The process of registering with these offices varies by school, but usually includes obtaining paperwork from medical professionals and submitting that paper for evaluation by university staff, who then determine which accommodations a student can receive. Accommodations can include anything from note takers to extra time on exams or non-consecutive exams, and they can mean the difference between success and failure for some students. Do not be ashamed to ask for accommodations! They are your legal right and simply serve to “level the playing field” so that you can achieve as much as possible throughout your college career. 2. Familiarize yourself with your surroundings. This is a piece of advice I would give to any student that is particularly important for students with disabilities. It is incredibly important to know your campus – whether that means knowing where the accessible bathrooms are or knowing which buildings have the fastest elevators, knowing your way around will help you arrive in class on time and make you feel more comfortable. Getting lost is a rite of passage and nothing to be ashamed of; for example, I once accidentally walked onto a rooftop helipad while looking for a lab — talk about being lost! But taking the time before classes start to familiarize yourself with your new home will minimize those experiences. Places of particular importance to students with disabilities may include the university health or counseling center (or nearby hospitals, doctors and clinics who take your insurance), dining halls that cater to certain dietary needs (gluten-free, dairy-free, etc.) and the aforementioned office for students with disabilities. 3. Serve as your own advocate. The fact of the matter is that there are some people — professors, peers or even medical professionals — who do not understand disabilities, particularly invisible ones. There may be times throughout your college career, even in a classroom setting, when someone will doubt your disability, tell you that you “look fine” or refuse to grant you your legally-guaranteed accommodations. If you ever encounter circumstances like these, it is incredibly important to serve as your own advocate: know your legal rights, speak up and know when to call for backup if necessary. For example, one day when I brought my service dog (wearing a vest and carrying a certification from the disability services office) into a meeting, a student worker threatened to call campus police on me for bringing a dog (which he did not “believe” was a service dog) into a building. Instead of getting upset, I simply shrugged and told him to go ahead and call them. The student worker was disarmed by my confidence and ended up dropping the issue without calling campus police at all. It may feel strange to stand up for yourself to an upperclassman or professor as a freshman, but it is vital to do so — you deserve to be believed, validated and treated well! 4. Use technology to your advantage. Current students with disabilities have quite a few advantages over the students with disabilities of 10 or 20 years ago, and many of those advantages have to do with technology. Personally, a laptop and back rest pillow have been some of my best investments for college since they allow me to continue to work from bed whenever I am having a bad day health-wise. Many professors (particularly upon request) will record lectures and upload them to the Internet, or use online textbooks or other resources that you can access from the comfort of your own bedroom if you are ever unable to attend class. Use email, video conferences (like Google Hangout), text messages and group chats to reach out to friends, professors, teaching assistants and classmates and stay connected academically and socially to your campus community. Most tasks can be completed with technology in some way if your disabilities prevent you from attending classes or meetings in person. 5. Above all else, be kind to yourself. I saved the most important piece of advice for last. It can be tempting, particularly for incoming students, to become involved in many academic courses and extracurricular activities and then feel it’s impossible to scale back if things become overwhelming. Do not be afraid to cut back on social activities, clubs or even academic coursework if doing so makes it easier for you to put your health first. It’s OK to drop a course, take a lighter course load or back out of a group dinner or party if you feel like you need to — your friends, particularly if you open up to them, will understand. One of my sharpest memories from my freshman year was when I had been sick for about a week straight and had been forced to cancel movie nights and dinners with my friends. Instead of getting upset with me for canceling, my roommate at the time — and three years later, one of my best friends — knocked on my door one evening and brought me a sliced orange to boost my immune system. That small act of kindness made it clear to me that I had found friends who were understanding of my disabilities, and it made it easier to reflect that understanding onto my own perception of myself. Take care of yourself in whatever way you need to, take life day by day if you need to and remind yourself daily that you are doing your best — and that you are doing a good job working steadily toward your goal. Ariana Aboulafia is an alumna of the University of Southern California and a first-year law student at the University of Miami School of Law. Her hobbies include baking and hiking with her service dog, Simon.